It’s time to enjoy utter luxury with our Amazon Aluminium Outdoor Corner, part of the Amazon Sectional Collection shown here in dashing coal. This excellent Amazon Corner is versatile, modish, useful and relevant. As a core piece in the incredible Amazon Collection, the Corner allows itself to shape the Sectional units, or be placed next to a Center to create an end. It is attractive, comfortable and of the highest quality! 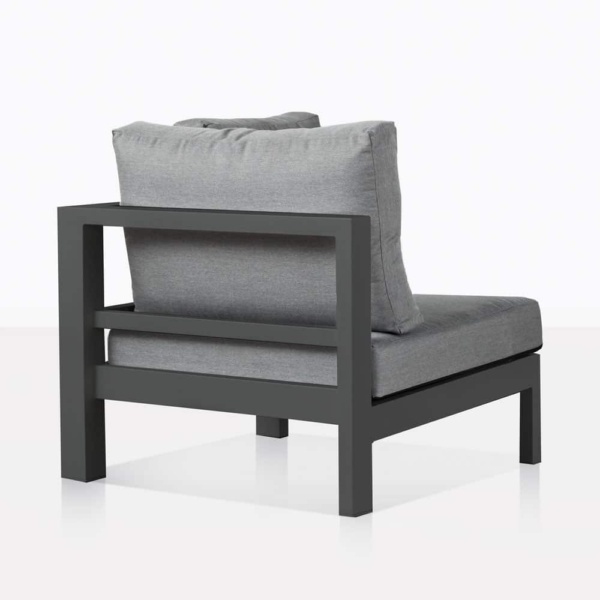 The Amazon Collection is renowned for its striking linear framework, one that’s sleek shape belies a wealth of comfort. Showing off the dark coal aluminium, and plush cushioning, Amazon is one that suits many settings for its tasteful, chic persona, updating an area with one, two or three pieces! 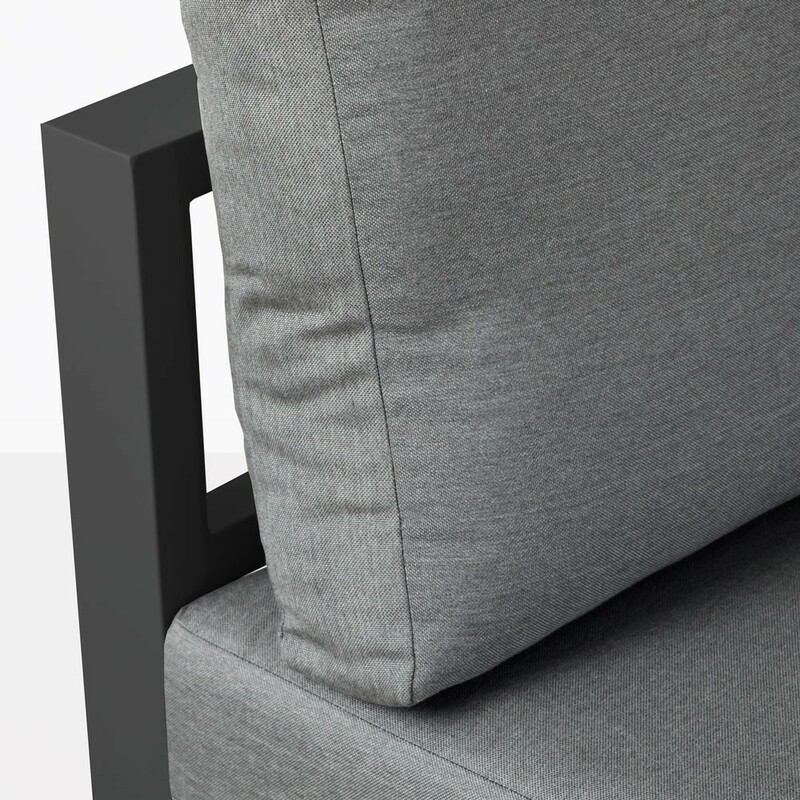 Create the ultimate Amazon Sectional using this Corner piece. Start with Amazon Left and Right Sofas, add the 2 Seater Center Chair as needed to fill your space, and then place the Amazon Outdoor Corner to really shape your space. You will adore this setting that enlivens your outdoor area, lending itself to excellent entertaining as well as rejuvenating relaxation. 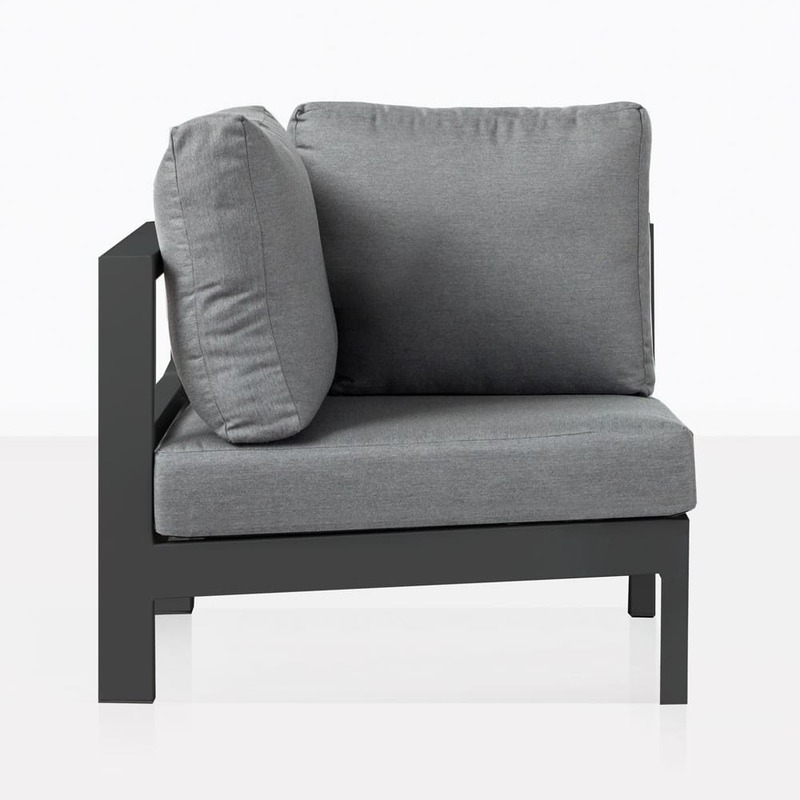 If you have a smaller space, why not put two of these Corner pieces together for a smart loveseat that can be then pushed apart for a cute club chair scenario? The options are endless! Made from exquisite products, our Amazon Outdoor Furniture Collection is long lasting, hard wearing and easy to maintain. The coal powder coated aluminium frame is available in white as well, and convientently deters rust and corrosion, while Sunbrella® fabric on our cushions look and feel amazing while enjoying UV protection and limited tear potential. 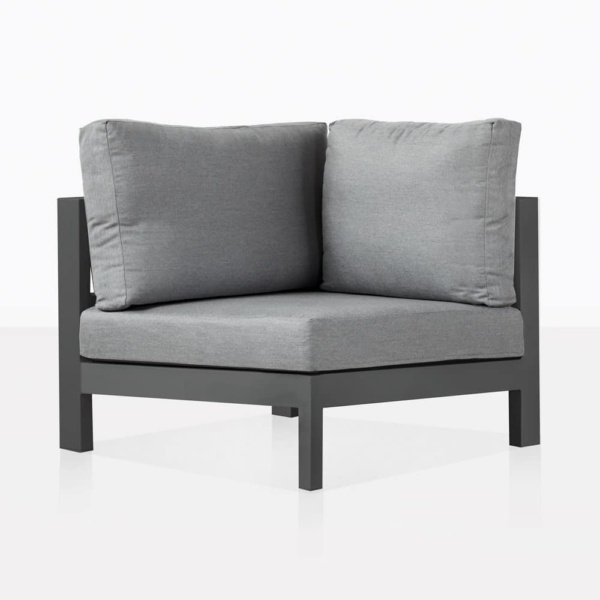 Design Warehouse has the best range of outdoor furniture. Call us today to furnish your outdoor space and relish in comfort and style! Call us now to order your very own Amazon Outdoor Sectional Corner in smart coal. Luxury is waiting at your fingertips!